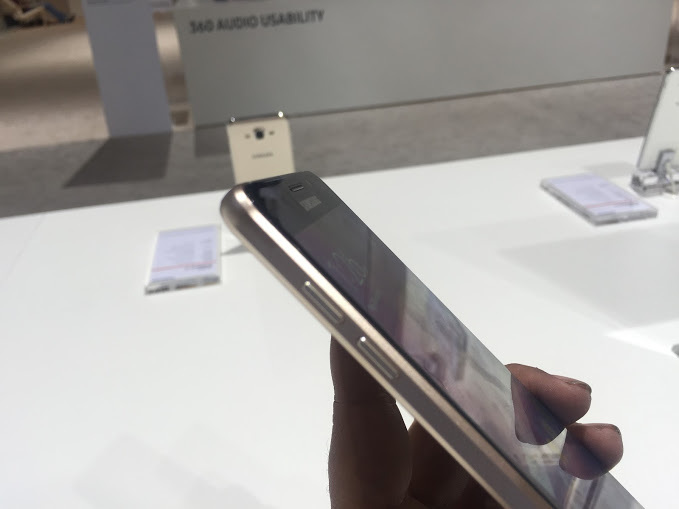 Samsung has launched two new A series phones, the Galaxy A5 and Galaxy A7. Both the devices are re-designed with upgrades over the predecessors. Both the smartphones are almost alike, except for the display sizes and a few specifications. The Galaxy A7 will cost INR 33,400 and comes with a 5.5 inch full HD Super AMOLED panel and 3 GB RAM. We got to try our hands on the device and in that quick session, we tried to find out the answers to your common queries. Answer- Samsung Galaxy A7 has a 5.5 inch display, which leaves minimal space for the bezels and has 2.5D curved edges on the sides. 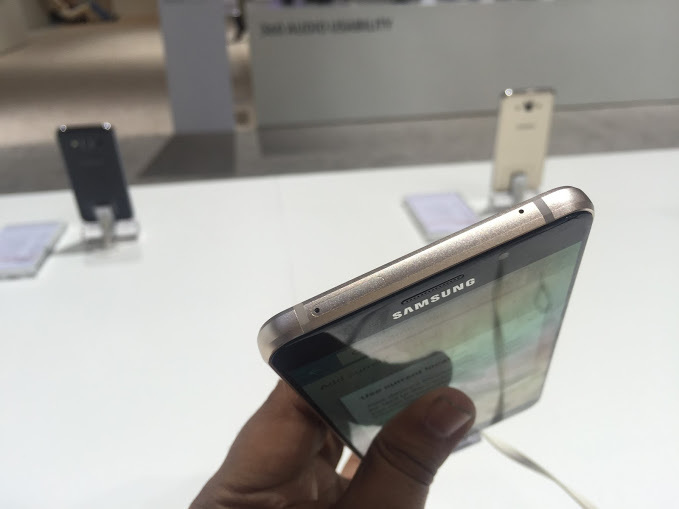 It is majorly made up of metal and glass just like the Galaxy S6. The design is looks very premium and stylish in terms of build quality and dimensions. Due to the big display size, the phone is not easy to use with one hand. 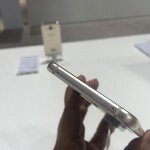 The build feels solid in hand, and looks like Samsung is going to focus more on design in coming year. 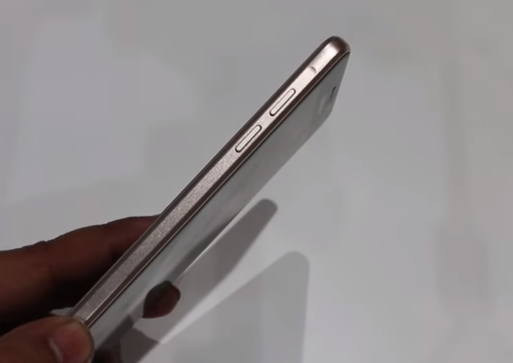 Question- Does the Samsung Galaxy A7 Have Dual SIM Slots? Answer- Yes, it has dual SIM slots. One is on the top and the other one is on the right side of the body. 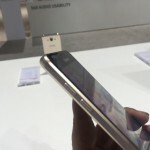 Question- Does the Samsung Galaxy A7 Have microSD Expansion option? 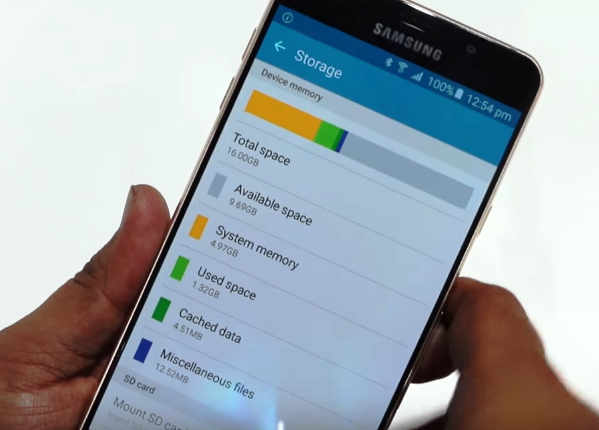 Answer- Yes, the Samsung Galaxy A7 has a separate slot for microSD expansion, it can support up to 128 GB microSD. 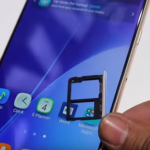 Question- Does Samsung Galaxy A7 Have Display Glass Protection? 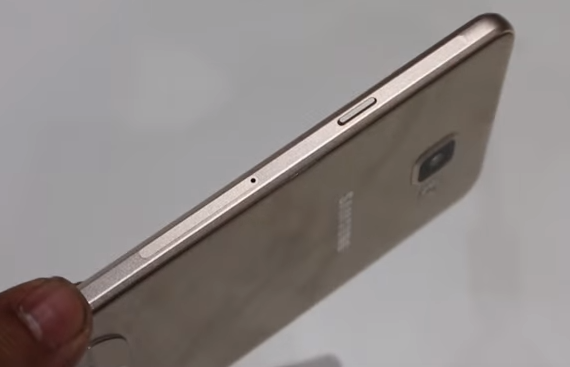 Answer- The Samsung Galaxy A7 has Gorilla Glass 4 protection. 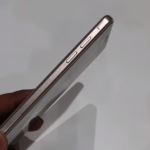 Question- How is the Display of the Samsung Galaxy A7? Answer- It comes with a 5.5 inch full HD (1920 x 1080 p) super AMOLED display with pixels packed at a density of 401 ppi. The display looks bright, crisp and the touch works flawlessly. Viewing angles are good, and outdoor visibility was also decent. 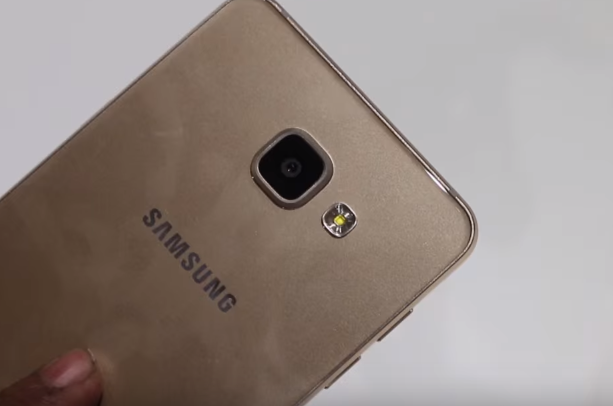 Question- Does Samsung Galaxy A7 Support Adaptive Brightness? 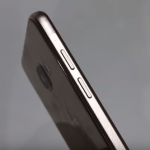 Answer- Yes, there are capacitive navigation buttons on the body and they are backlit. Answer- It comes with the Android 5.1 Lollipop. 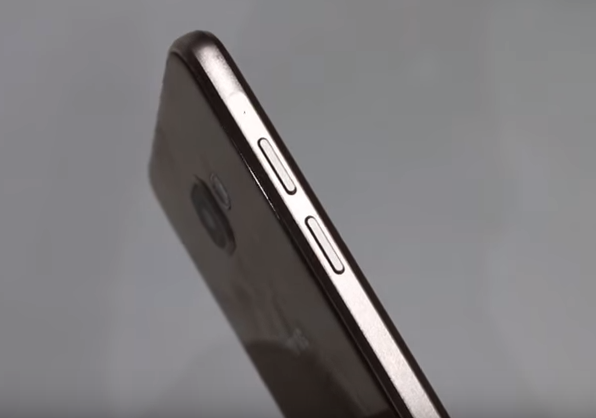 Answer- Yes, this phone has a fingerprint sensor on the home button. 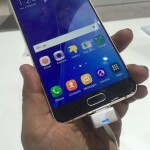 Question- Is Fast Charging Supported in Samsung Galaxy A7? Answer- 9.69 GB is available out of 16 GB at user end. 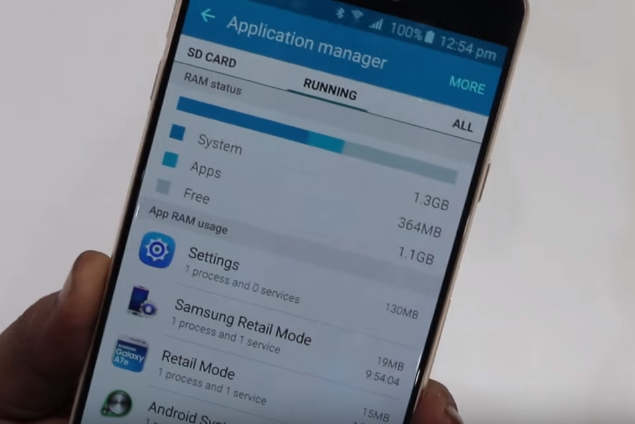 Question- Can Apps be moved to SD card on Samsung Galaxy A7? Answer- Yes, apps can be moved to SD card. Answer- It Yes, you will get Samsung ‘s suite of Google alternatives for messaging, calling, contacts storage, camera, email, calendar and so on, but unfortunately, some of the pre-installed apps cannot be uninstalled. If you do not want to use them you can simply disable them from the settings. Answer- Out of 3 GB, 1.1 GB of RAM is free on the first boot. 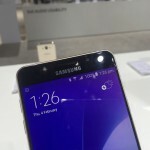 Question- Does Samsung Galaxy A7 offer theme options to choose from? 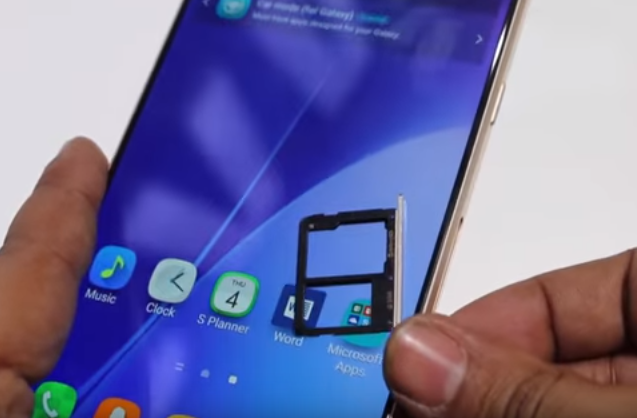 Answer- No, Galaxy A7 does not offer theme options. Answer- We have not yet tested the call quality, we will update this sections once we receive the review unit. 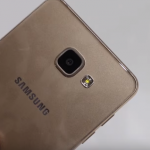 Question- How good is The Camera Quality of the Samsung Galaxy A7? Answer- It comes with a 13 MP primary camera with OIS and 5 MP secodary shooter. The rear camera works fine in natural light but does not look like a flagship grade camera. However, we would like to reserve our comments until we do a full-fledged camera test. 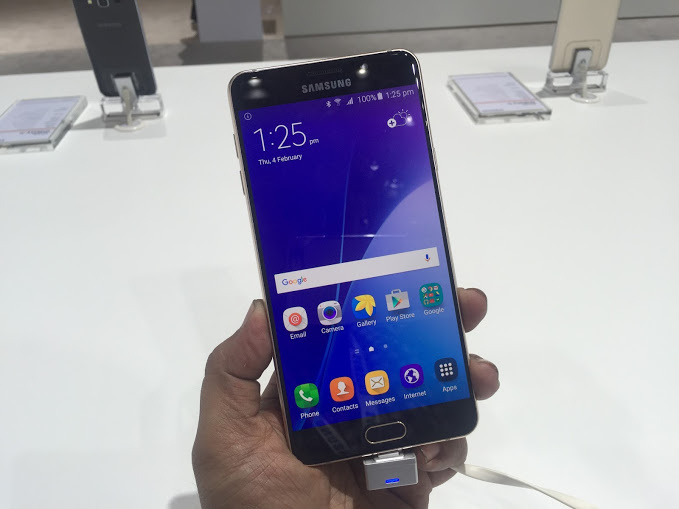 Question- Can we Play Full HD 1080p Videos on Samsung Galaxy A7? Answer- Yes, it is can play full HD videos with a breeze. 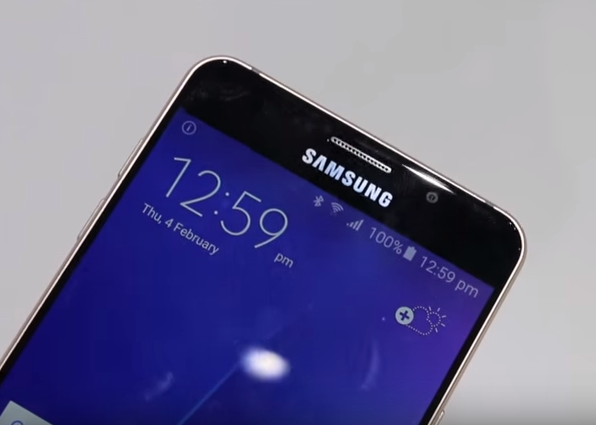 Question- Can Samsung Galaxy A7 record slow motion videos? Answer- No, it cannot record either slow motion videos. 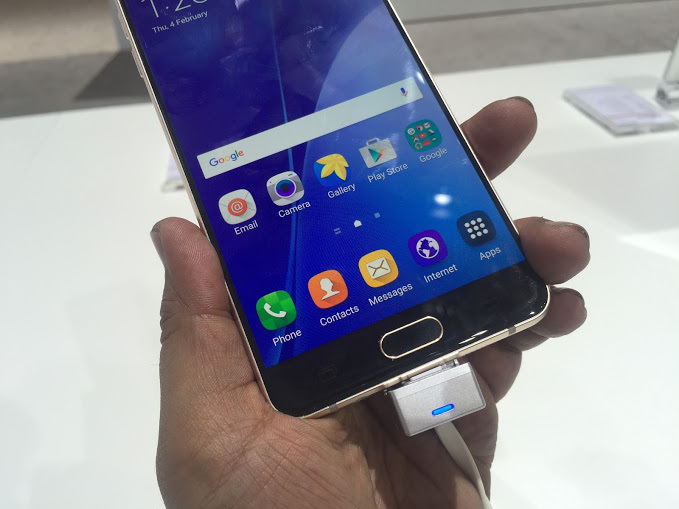 Question- How is Battery Backup on Samsung Galaxy A7? Answer- It has a decent 3300 mAh battery which hould be able to provide enough juice on a long day. Again, we will not make any comments regarding the battery performance, wait till we test every aspect of it. 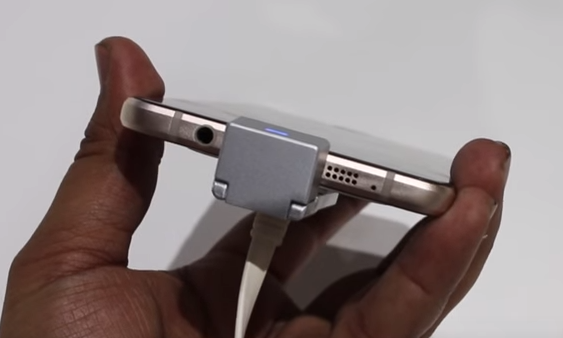 We should also mention that it supports reverse charging function too. 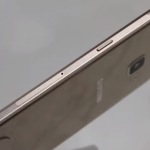 Question- What Color Variants Available for Samsung Galaxy A7? Answer– It will be available in Gold, White and Black colours. 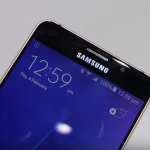 Question- Can we set the display colour temperature on Samsung Galaxy A7? 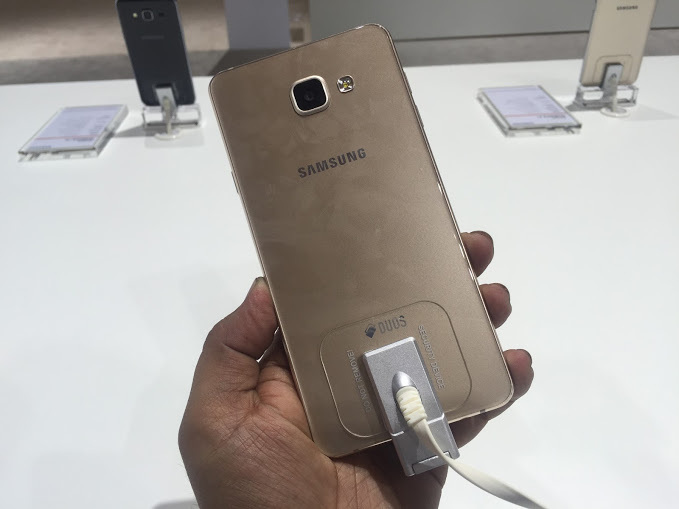 Question- Is there any in-built power saver in the Samsung Galaxy A7? Answer- Yes it features useful modes for power saving. 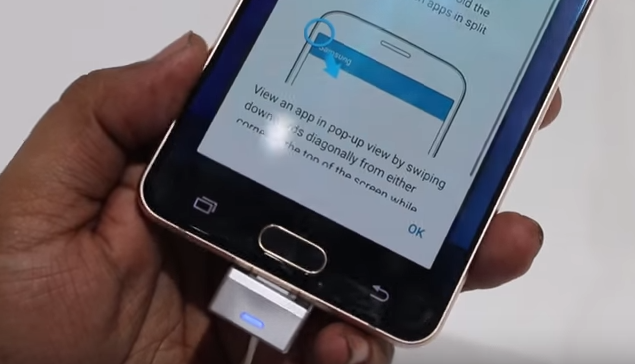 Question- Which Sensors are available on Samsung Galaxy A7? 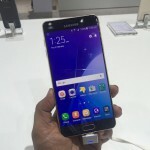 Question- What is the Weight of Samsung Galaxy A7? Answer- It weighs 172 grams. 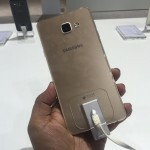 Question- What is the SAR Value of Samsung Galaxy A7? Answer- No, it does not support double tap to wake up command. 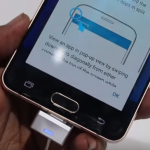 Question- Does Samsung Galaxy A7 Have Heating Issues? Answer- We have not yet tested the device for very long, but the device did not heat up much during our hands on experience. 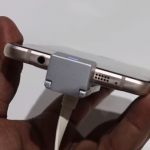 Question- Can we connect Samsung Galaxy A7 to a Bluetooth Headset? Answer- We cannot give any verdict about the gaming performance. It appears to be a great device in terms of display, design, 3 GB RAM and Fingerprint sensor. 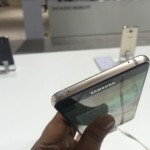 Samsung has designed this phone pretty intelligently and one can easily make this out while using the phone. The only thing that might work against the device may be the price. Looking at the competition in Indian market, Samsung is asking for a little extra from the consumers with the price tag of INR 33,400. The battery capacity is not 2900 mAh, its 3300 mAh. 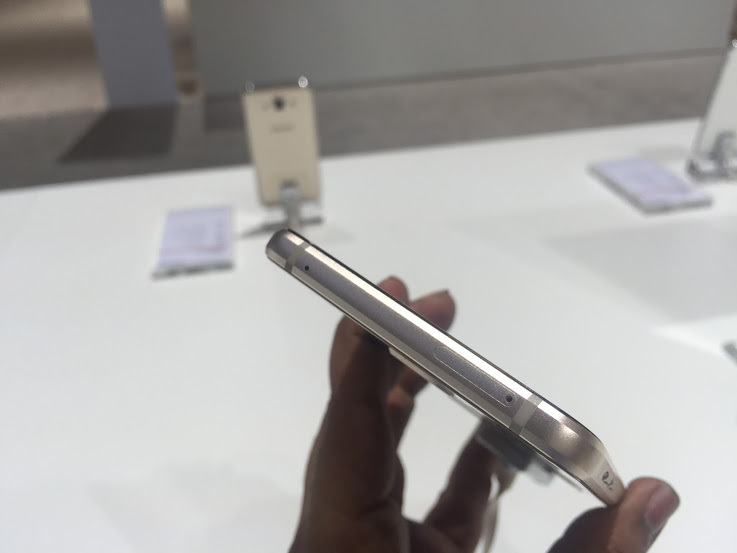 The 2900 mAh is for the Galaxy A5 (2016). Thanks for pointing out, we have just corrected the same. 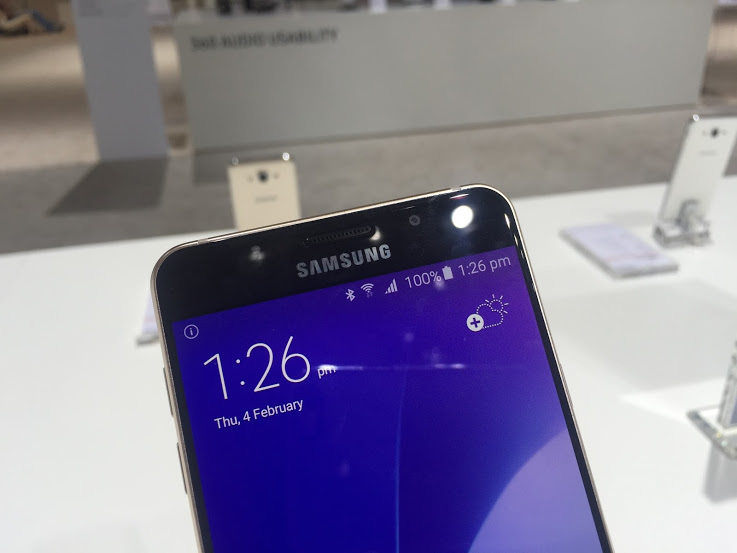 Will Samsung galaxy A7 ( 2016 ) get Android N Update ?